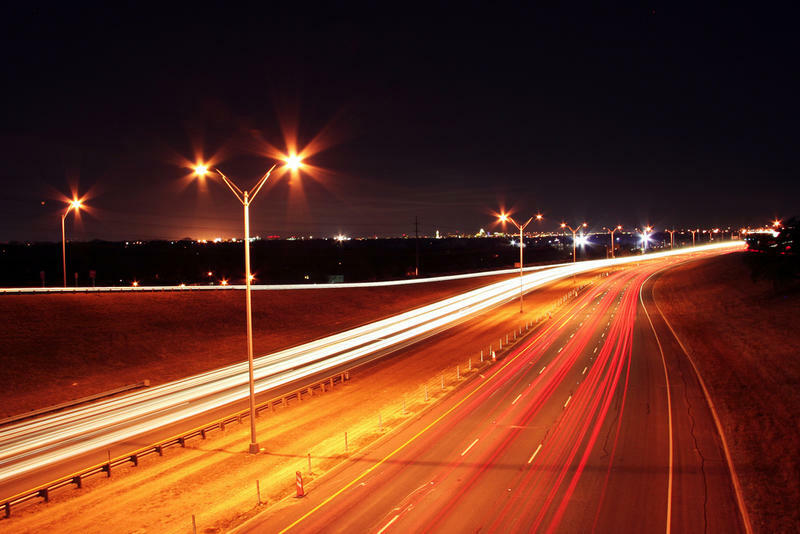 Austin set a record in 2015 for the number of traffic fatalities at 102. Members of Austin’s Public Safety Commission are calling for changes to a city plan that aims to eliminate traffic deaths in the city. 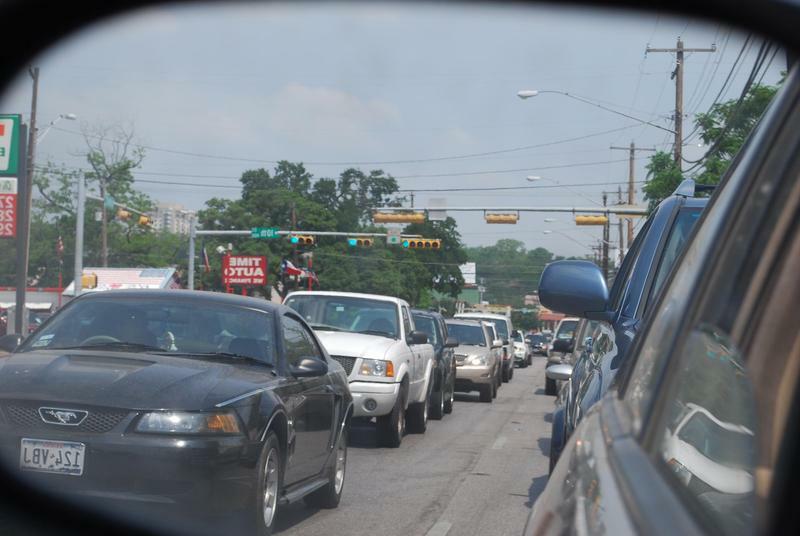 Commission member Mike Levy criticized the Vision Zero task force’s draft plan, which includes more than 100 recommendations aimed at making Austin’s roadways safer, calling it a "kitchen sink." The commission passed a resolution calling for a more focused set of recommendations to show priorities more clearly. Levy called for one focus, in particular. The commission also called for more emphasis on pedestrian safety and for stricter punishments for people who drive while they are unlicensed or have had their license suspended. Those drivers were involved in one-third of the fatal crashes in 2015, according to Vision Zero. A total of 102 people died on Austin's roads last year, the highest total since records started being kept. Commission members pushed for those drivers’ cars to be impounded if they’re pulled over. APD Commander Art Fortune told the commission that right now, that’s not the case. The Vision Zero task force is working on refining its draft plan. It’s still working its way through council committees, before it comes to the full council for a vote this spring. The Austin Police Department has some ideas how reducing pedestrian traffic fatalities in the new year, some of which they shared with the city’s Public Safety Commission Monday night. In 2015, more than 100 people died on Austin’s roads. That’s nearly double the number of traffic fatalities the year before. 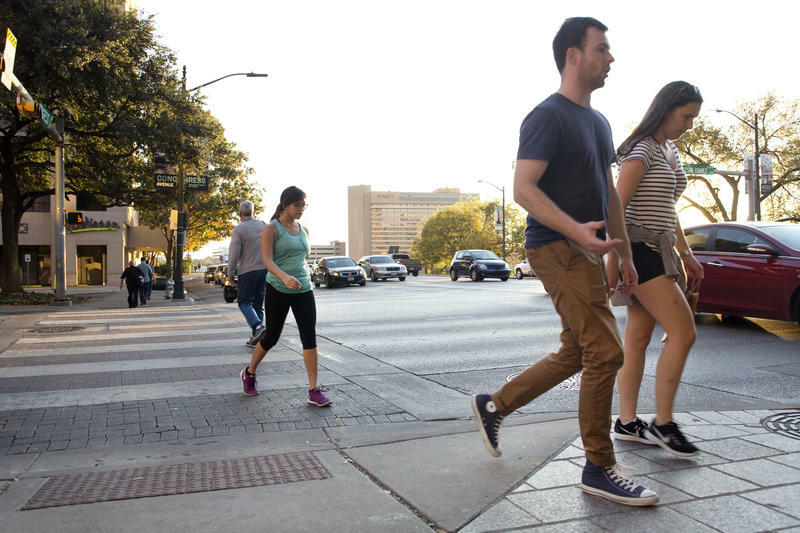 Roughly one-third of those deaths in 2015 involved a pedestrian, which is why APD is considering ways it can make more unsafe pedestrian behavior illegal. 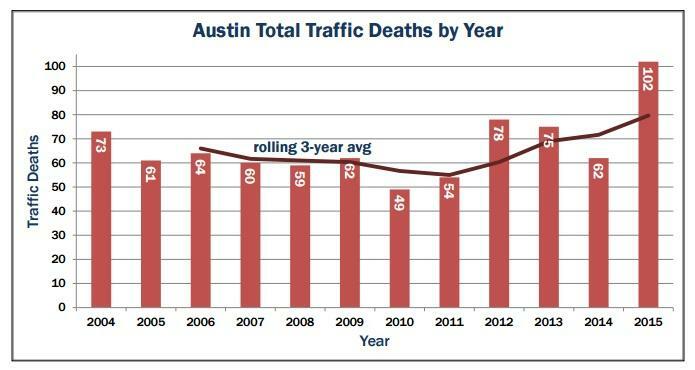 For almost 10 years, traffic deaths were relatively low in Austin. Then last year they spiked. Now two city council members want a study to look into why so many people died on Austin’s roads in 2012.